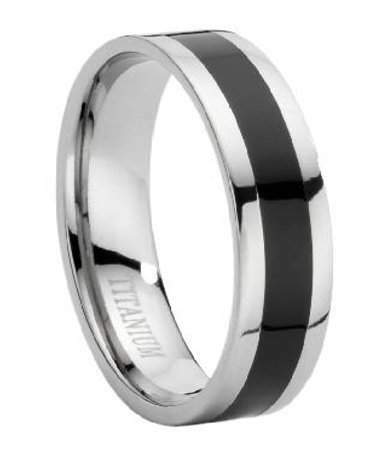 If Michelangelo were to make a piece of jewelry, he'd make this ring.Why?Subtle enough for every day wear yet sophisticated enough to serve as a unique wedding band or business jewelry, this piece is truly a beautiful renaissance ring.Made out of high polished, scratch-resistant titanium buttressed with smooth black enamel, this ring proves that masterpieces come in all shapes and sizes.Note: Comfort Rings are usually 1/2 size smaller. We recommend having your finger measured for a comfort fit ring at your local jewelry store first to ensure the correct fit. 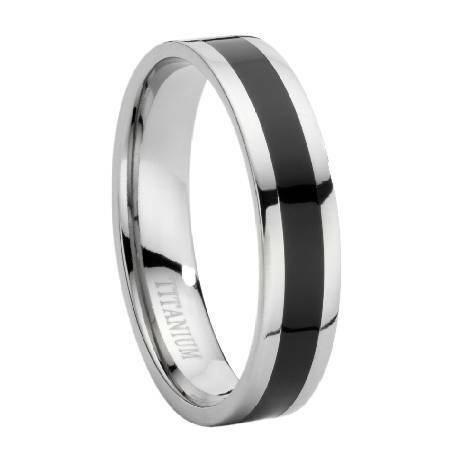 It's really classy for a ring this cheap. Bought as thumb ring, fits perfectly. Excellent material, buy at least titanium, avoid steel. Lovely ring for the price. Shipped and arrived much faster than expected. Size chart was accurate (very appreciated) and there were lots of size options. Very satisfied. Thank you! The ring I ordered came within a few days and I discovered it was a half-size too large. I followed the exchange policy and received the same ring one-half size down. The ring fits great, looks contemporary and is very light. The return/exchange was processed quickly. Thank you!